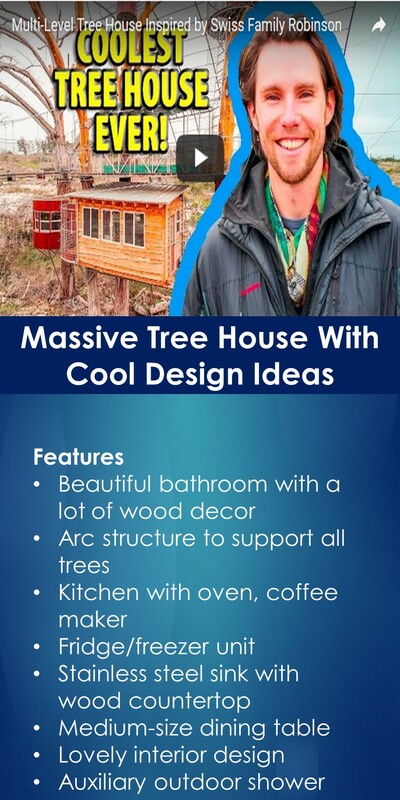 This is a large multi-level tree house. It was designed by Beilharz of ArtisTree and is located in Cypress Valley close to Austin, Texas. This tree house has a bathroom, a living room, two bedroom (a master bedroom and a kid’s bedroom), a butterfly hatchery and soil-type roof.